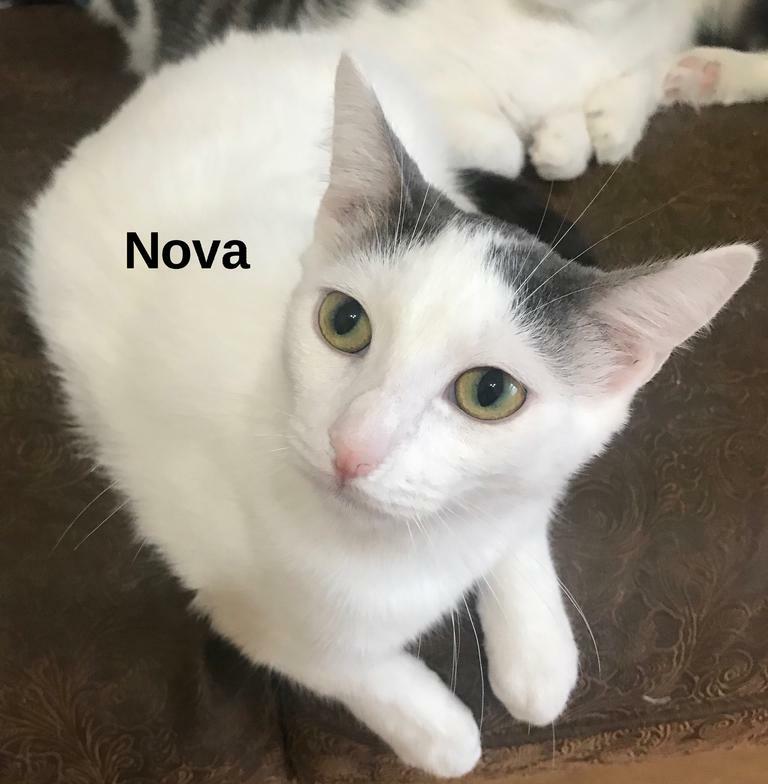 Nova is a pretty little girl with adorable markings. She's all white with a charcoal gray tail and cute little "cap" of gray surrounding her ears. She and her brothers were born in June 2018 and have been in foster care ever since. They are all happy and healthy kitties who have been showered with love and attention by their foster mom and her daughters. While her brothers are all very confident and fearless, little Nova, for some reason, has always been timid and easily frightened. She's still very loving and enjoys attention, but she startles easily and would probably do best if adopted along with her handsome brother, Darwin. Call Tabitha at 956-358-6344 for more information.